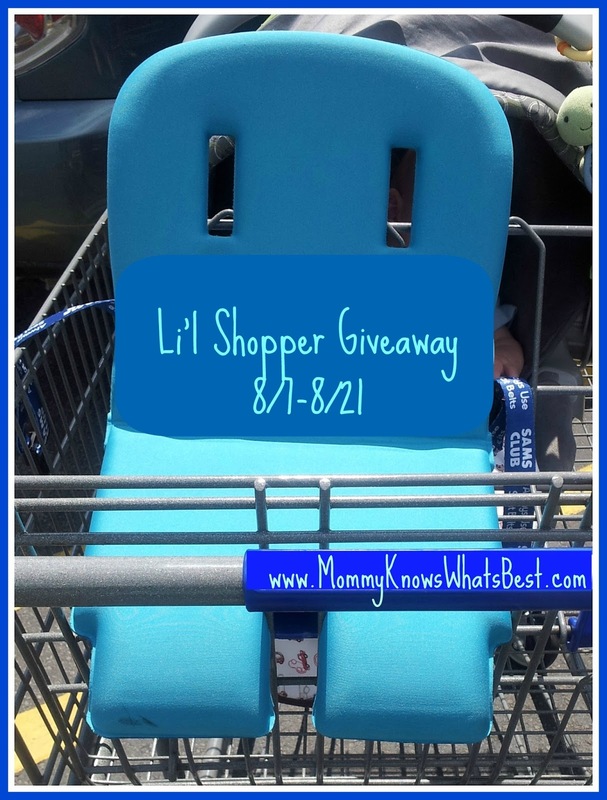 Welcome to the Li’l Shopper Giveaway! Ever notice how uncomfortable shopping cart seats are for babies and little kids? Between the hard metal grills and the potentially sharp plastic seats, a shopping trip can be a nightmare for a child! Precious Ideas has come up with a solution for those hard and uncomfortable seats: the Li’l Shopper. 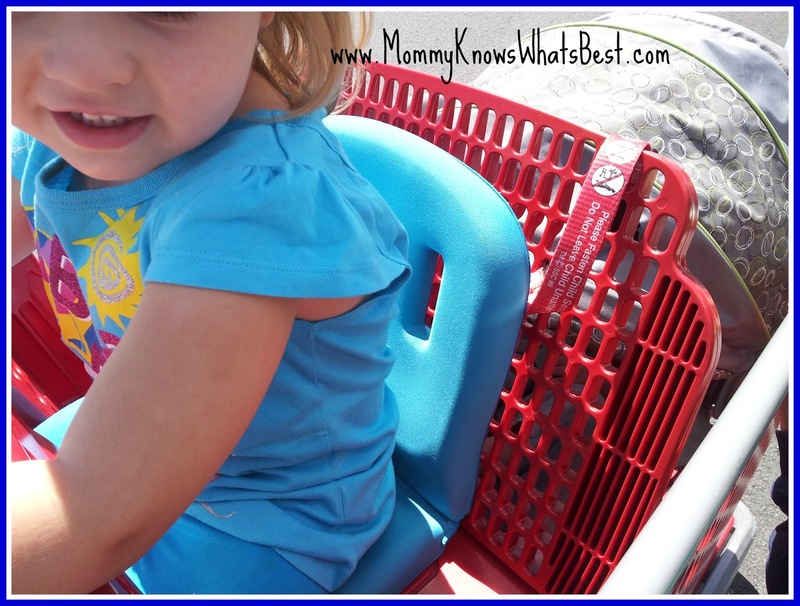 The Li’l Shopper is a portable shopping cart seat cushion designed to keep kids comfy while shopping with Mom and Dad. With its patented leg support and simple one piece design that easily slips into place, the Li’l Shopper is a must-have for parents who want to have a peaceful and easy shopping trip with their little ones. Mommy Knows What’s Best was given the chance to review the Li’l Shopper. Read her review here! I love this! Most of the time when we get to a cart the strap or the seat is broken! No wonder my kids don’t like long shopping trips, it’s uncomfortable!! Want to win one? Enter to win a Li’l Shopper for your little one! Enter using the Giveaway Tools form below! Giveaway is from 8/7 until 8/21 at 11:59pm EST. Open to US residents 18+. Winner will be chosen at random by Giveaway Tools, and entry will be verified. Winner will be notified by email, and will have 48 hours to respond. If the winner does not respond, a new winner will be chosen at random and notified. Prize will be shipped from Precious Ideas. Mommy Knows What’s Best is not responsible for prize shipment. Mommy Knows What’s Best and Momma Lew’s Blog were not compensated for this post. Momma Lew’s Blog is not responsible for prize shipment. This event is not sponsored, endorsed, affiliated or associated with Facebook, Twitter, Instagram, or Pinterest. They are released of any liability.